Way back when, like two whole years ago, I was really into themed movie nights. I would grab a movie that I was dying to see and combine it with a whole dinner menu that was based off the film. It was a really fun to spend a night in putting together a tasty dinner together with friends to then sit down on the couch to enjoy it while we watched an awesome new movie. Like with most things, I totally forgot about doing them the busier I got, but lately I have been craving to do a few more. My first dinner and a move night was with the film Safe Haven. If you haven’t seen Safe Haven and you like Nicholas Sparks, then you need to check it out! It didn’t get the best reviews, but I absolutely loved it. 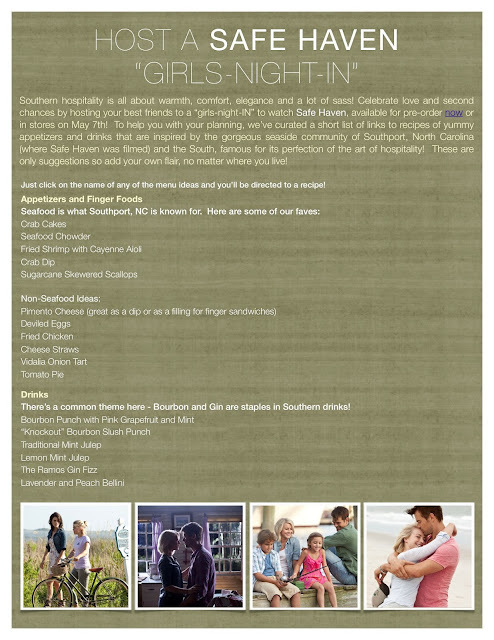 It was actually the menu below that first sparked the idea to start planning themed movie nights. I picked some of my favorites off this menu and went from there. We ended up making some seriously delicious dishes. 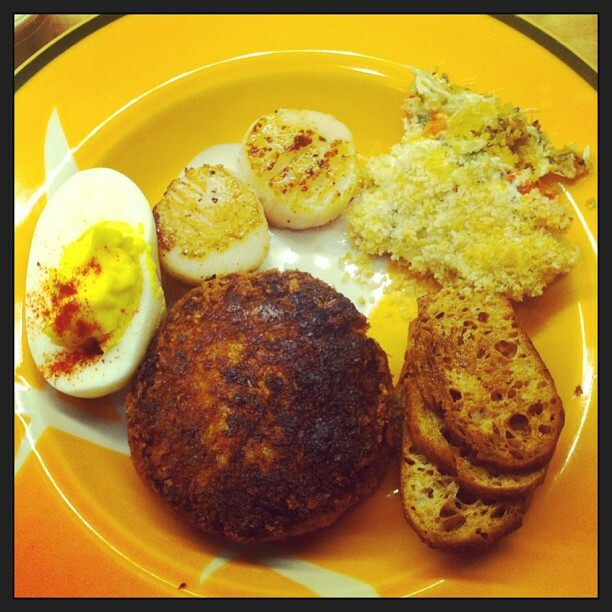 We made our own crab cakes, seared up some tasty scallops, made homemade crab dip (which was soooo good) that was served on toasted crostini and also made a bunch of deviled eggs. We also whipped up a batch of Bourbon punch with pink grapefruit and mint as our southern drink staple. All in all, it was probably one of the best meals I’ve ever put together. Plus, the prep was a ton of fun. I am currently trying to decide what film I should do for my next dinner and a movie night and I’ve narrowed it down to a few, but I definitely need you to help me decide! This is such a neat idea. I have to try this. I'd better not pick a movie about cannibals then, though. Oh I love the idea of a themed movie night! Adding it to my list! What a good idea! That meal looks so tasty too. I'll have to try this at my house!